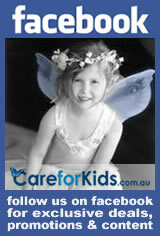 Parents value the relationship between carers and individual children over qualifications, ratios and educational curriculum according to a new survey conducted by CareforKids.com.au on behalf of KU Children's Services. The survey of nearly 800 parents with children in care canvassed their opinion on what constitutes high quality care and asked parents to rank a range of indicators from 1 as most important to 9 as least important. When asked what they think are the most important indicators of a 'high quality' early childhood education (pre-school), 52 per cent of parents said the relationship that educators have with children and parents was the most important, followed by qualifications and experience of the staff (39 per cent) and safety and cleanliness of the centre (37 per cent). Just over a quarter said the ratio of educators to children was a very important indicator with just under a quarter putting highest importance in the educational program or curriculum offered by the service (23 per cent). Child care providers in regional Western Australia can apply for Royalties for Regions funding of up to $10,000 under the first round of Regional Child Care Development Fund grants launched today. These grants are part of the $9.3 million Regional Child Care Development Fund implemented to ensure the long term availability of quality child care for families in country areas. The grants can be used to cover operational expenses such as professional development and training, information technology, capital equipment and governance requirements. WA Community Services Minister Robyn McSweeney said priority would be given to services at risk of closure or in areas of high community need. "If we want to build strong, vibrant regional communities then families in those communities need quality child care," she said. "The aim of these grants and the Regional Child Care Development Fund is to ensure that families in regional communities have access to quality services." WA Regional Development Minister Brendon Grylls said regional child care services faced particular challenges because of factors such as distance, isolation or lack of funds. "This is what Royalties for Regions funding is all about, providing additional investment to the State's regional areas, supporting essential services for communities and helping strengthen growth and development in the regions," he said. The grants will be administered by the WA Department for Communities, for more information or to make an application click here. In commemoration of Dr Seuss's birthday last month we gave three lucky services the opportunity to win a fabulous Dr Seuss Beginner Book Pack simply by logging in and updating their vacancy information on CareforKids.com.au. Maintaining current vacancy and waitlist information saves time by ensuring that parents looking for care only contact you if their needs match your current vacancies. This month we are proud to introduce you to Jayanthi Balendra owner and director of four centres: Lidcombe Pre School Kindergarten, Regents Park Pre School Kindergarten, Auburn Pre School Kindergarten and Toongabbie Pre School Kindergarten. Dealing with challenging behaviour in children is part of a normal day for most early childhood educators. High quality child care service providers have procedural guidelines which describe how they positively manage children's behaviour and many services offer parental information to ensure children receive consistent messages about acceptable and unacceptable behavior at home and in care. 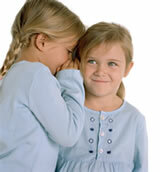 Children resort to aggressive behaviors because of a lack of wisdom and self-control. It is not a sign that a child is hateful or mean. Kids are human beings and human beings will get angry, we can't prevent that. 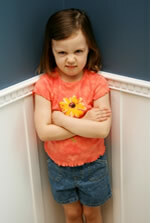 What we can do is teach children how to handle their frustration and anger in appropriate ways. If a child uses physical acts to express her feelings, use some of the following tips to change their behavior. 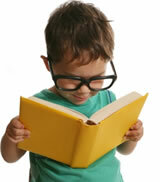 Child care providers are well aware of the importance of encouraging healthy eating in young children. In recognition of the important role early childhood educators play in setting up good habits for life Australian avocado growers have developed an early childhood resource kit to boost consumption of fruit and vegetables. The program was developed by educators Shelley Woodrow and Nadine McRea who specialise in child centred food and nutrition education and is funded by Australian avocado grower levies matched by the Australian Government. According to Australian Avocados the 'Eating My Colourful Vegies and Fruit' resource kit equips educators and carers with the tools and knowledge to contribute to well-being and food-focused learning experiences for young children, while encouraging them to explore and enjoy the taste of fresh foods in fun and interactive ways. Hands-on sensory food experiences will guide and encourage food preferences and educate the children about how fresh produce is grown, how it looks, feels, smells and tastes. This is the second year Australian Avocados growers have offered the 'Eating My Colourful Vegies and Fruit' resource kit which is designed for kids aged 3-5 years and includes. A resource book for educators, which includes background notes, 'try new foods' tasting protocol, step-by-step guide to five food learning experiences covering sensory exploring, tasting and making and more. A large format 'Tasting the rainbow of colourful vegies and fruit' poster, featuring photographs of fruit and vegetables arranged in a fruit and vegetable rainbow. 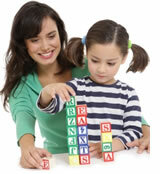 The poster includes food-related sensory words to encourage vocabulary and language development. A rainbow swatch consisting of five brightly coloured samplers in a range of hues and shades for each colour of the fruit and vegetable rainbow. The tool enables educators to lead matching, sorting and comparing exercises for real foods and those featured on the fruit and vegetable rainbow to find 'same', 'similar', and 'different'. 'My food finder' – an avocado shaped view finder to focus children's attention during explorations of fruit and vegetable colour, shape, texture and size. A website and DVD including examples of learning experiences in action, nutritional rationale for the program, tips and suggestions for preparing food and including avocados on the menu. Picto-recipe cards; a durable set of three picto-recipes illustrate each step of a child-friendly recipe. With all the strong motifs attached to the Easter holiday it offers many great craft opportunities. If you are teaching the kids in your service about Easter, consider incorporating some of the ideas described below. Dyed Easter eggs: Brightly coloured dyed Easter eggs are an Easter staple for kids young and old! 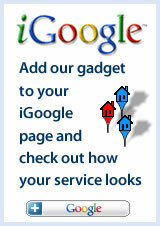 This link offers suggestions on a number of different ways to dye the eggs. 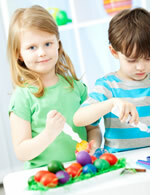 Paper Mache eggs: Kids adore working with squishy glue and this is a great project to stimulate the senses. Egg tree: A group activity which makes a fabulous wall display. Tissue paper eggs: The paper scrunching involved in this project will probably be just as popular as the gluing. Sequin eggs: Add a bit of bling and a lot of mess to your Easter festivities with this fun but sticky activity. Bunny rabbit hat: If you are doing an Easter hat parade then this project is sure to be a hit. Bunny mask: Another great costume idea which the kids will enjoy making and wearing. Rabbit puppets: Children two and older will enjoy decorating these cute little bunnies. Hatching chicks: Sweet little chicks made from cotton balls sitting in an egg carton as the nest. Thumbprint chicks: A quick and easy activity which will result in a whole family of gorgeous little chicks. 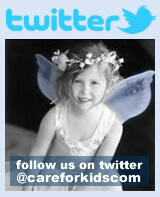 Hello and welcome to the April edition of Child Care News. I trust you are looking forward to your well deserved Easter break. To ensure you are in the Easter spirit check out our cute Easter craft ideas, packed with cute bunnies and chicks and eggs (of course). Recently we collaborated on a survey with KU to find out what parents think constitutes as quality care in the brave new world created under the NQF. The results may surprise you. 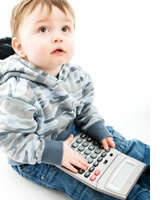 Great news for child care centres in regional WA who are now eligible to claim grants up to $10k. Read our article to find out how to apply. 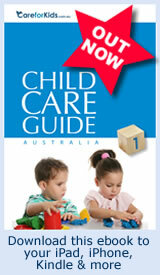 I am also delighted to introduce you to Jayanthi Balendra the owner of four Sydney child care centres. 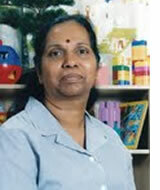 Jayanthi has more than 40 years experience in the child care sector and her story makes for inspiring reading. All this and lots more, so happy reading.